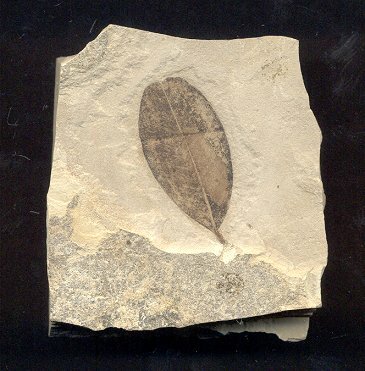 Here is a very nice specimen of a Leguminosites lesquereuxi legume leaf from the Eocene of Utah. This heart-shaped leaf has weak venation that is quite visible under magnification. The leaf still has the short petiole tightly attached. The leaf has good color and contrast and is well centered on the semi-rectangular plate of shale. This is a fine example of a distinct leaf from a fossil legume. This fossil was collected and obtained legally, and is also being sold legally.